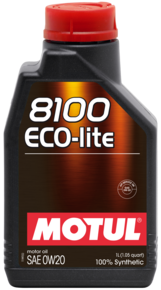 Motul has reformulated the 8100 0W20 synthetic oil to be an Ester base lubricant. By doing so, engine protection has increased significantly especially for those looking to drive spiritedly around town. While other synthetic oils tend to breakdown over high end performance driving, 8100 will continue to protect your engine!